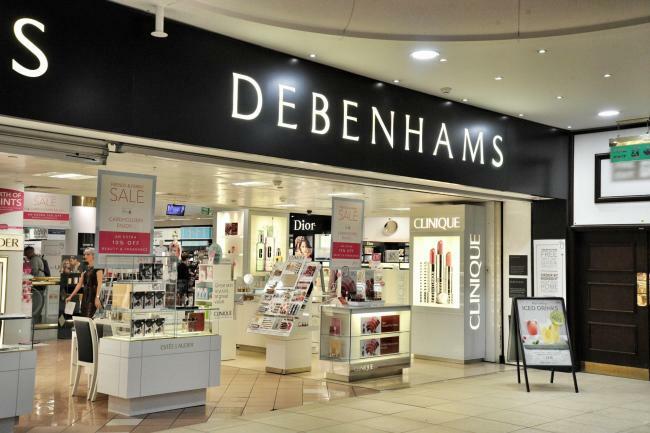 Debenhams is a well-known name across the UK, it is one of our biggest and most popular department stores and caters to a huge variety of your shopping needs, so we are extremely happy to bring them to NHS Discount offers! Take advantage and pick up a bargain at Debenhams! Perfumes, fragrances, clothes, menswear and plenty more! If you are looking for the ideal place to buy a gift or you want to update your home then their range of clothing, beauty products, home furnishings and technology will definitely provide you with some solutions. Along with these traditional departments, Debenhams have also expanded to include several concessions, so if you are in a rush then you can get your nails done at Nails Inc or get your hair done at a salon ready for a night out whilst you pick your outfit. This makes Debenhams more convenient that ever before and it means that you no longer have to trek around a variety of different shops in order to find what you are looking for. They sell a variety of the latest and trendiest brands, from Nike, Rocha, Oasis, to Coast and many more. The same goes for their beauty and cosmetics ranges as they look to provide their customers with the latest and most advanced skincare products. This makes Debenhams ideal for anyone who likes to have the latest products and clothes in one shop and doesn’t want to spend half their day walking around busy streets. You can get Debenhams Discount right here using our up to date offers and promotions. They are well known for providing good value products and for holding regular ‘Blue Cross Sales’ both in store and online. These sales often provide customers with discounts of up to 70% off a product’s retail price. What sort of discounts can I get at Debenhams? Of course Debenhams also frequently have promotions and discounts on their products and services, this is a great way to save yourself some additional money, so be sure to keep an eye out for Debenhams discounts that offer savings on anything from homeware to beauty treatments. 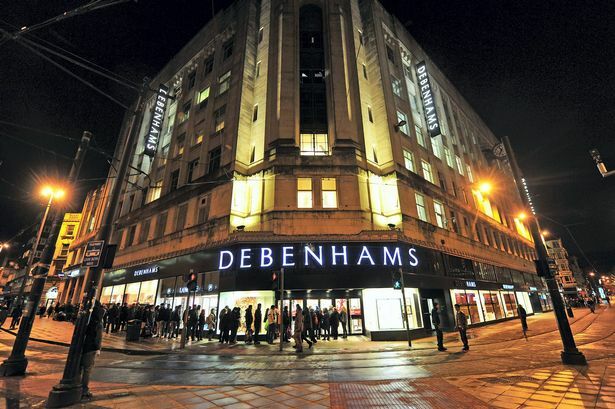 Debenhams is a UK department store offering clothing, beauty and home items for every necessity and occasion. Providing clothing for men, women and children, the whole family can find something at Debenhams. With men’s clothing sizing from an XS – XXXL, women’s 4 – 32, and babies – 16 years, it’s safe to say that the whole of the UK will find something that fits. They’re beauty range holds some of the most famous brands across the world such as ARMANI, Benefit, DIOR, Givenchy, Mac, and YSL; from gift sets, perfume/aftershave, and skincare, to spa vouchers, hair care, and men’s grooming, Debenhams has something for everyone. Debenhams offers high quality homeware items for the bedroom, bathroom, kitchen, and even camping equipment, so that customers can experience the ultimate shopping experience. The brands that Debenhams offers include Tefal, Barista & Co, Joe Wicks, Joseph Joseph, and Jasper Conran, emphasising the luxurious items that you can fill your home with. But it doesn’t stop there, as Debenhams also offer most electrical based items too such as fridge freezers, cooling and air treatments, headphones, TVs, the list is never ending (but that’s a good thing). Once again with respectable items like Nespresso, Brawn, Bosch and KitchenAid, Debenhams offers reputable returns options so that customers can experience a fast and easy shopping experience. To make things easier when looking for a bargain, Debenhamsconsistently have an Offers tab on their website, giving customers the opportunity to browse their valued items. Not all of us enjoy rummaging through the piles of clothes, which is why Debenhams offer a personal shopper experience, where you can relax in your own private suite, whilst your person shopper does all the stress work for you. Just by simply booking an appointment, you can enjoy an easy shopping experience with expert advice, helping you to decide what to buy, and future shopping tips. Now Debenhams offer Wedding items, such as decorations, favours, clothing and gifts. And to make things easier online, you can shop by person, whether you’re a guest, the mother of the bride, the groom, or the bride herself, Debenhams can offer you high quality clothing, that suits you! 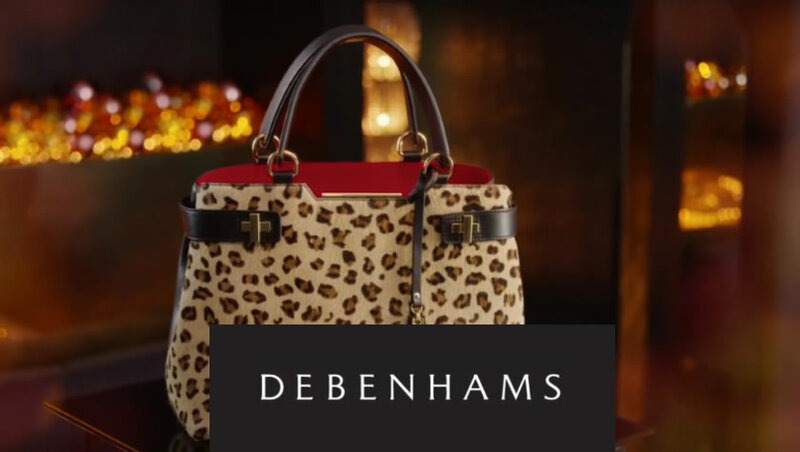 Debenhams offer a personal finance scheme where you can take out a Debenhams credit card that treats customers to 10% off their next order and a 24.9% apr. The card can be used in any Debenhams shop (online or in-store) and anywhere else that you can see the Mastercard sign. What happens then is you automatically earn points (3 points for every £1 at Debenhams, and 1 point for every £2 everywhere else). Every 3 months, your points are then converted into Debenhams Reward Vouchers that are sent with the credit card statement. But that’s not all, when you set up the card, you receive £5 worth of bonus points that can be used at Debenhams.